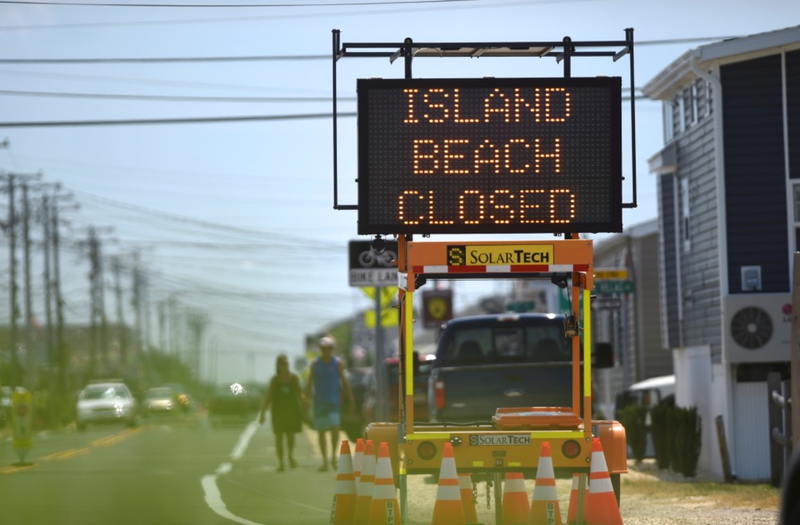 Due to a political budget infighting at the state government level, New Jersey public beaches have been closed for the past three days. Yet the beaches were not to everybody. At a press conference on Sunday, Governor Christie was asked (beginning at 1:16 in the above video), "Governor, you look like you got some sun -"
Governor Christie answered: "No, I didn't Claude, but, ahum, go ahead. I didn't get any sun today." As he says, "I didn't get any sun today", the Governor looks far to his right - well away from Claude (the journalist). Eye contact very frequently either greatly diminishes during deception - or turns into a stare (unnaturally high eye contact). 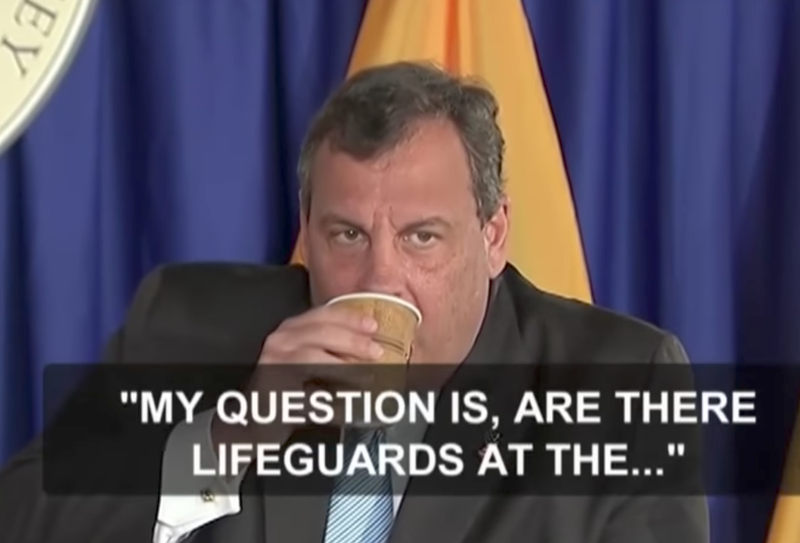 When he made this statement, Chris Christie was unaware he and his family had been photographed on a public New Jersey Beach which was closed to the public. 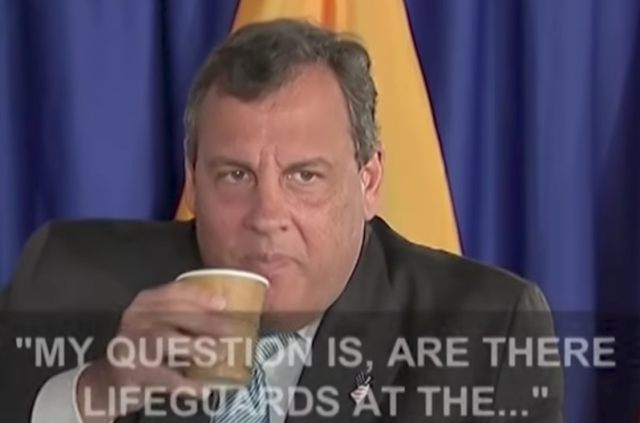 A few seconds later (during 1:23), just before he takes a drink, Governor Christie is displaying a mixture of both contempt (primarily noted on his left midface with deepening of his left nasolabial fold, tension in his "mustache area", and flaring of his left nostril) as well as disgust disgust (his entire midface and mouth). 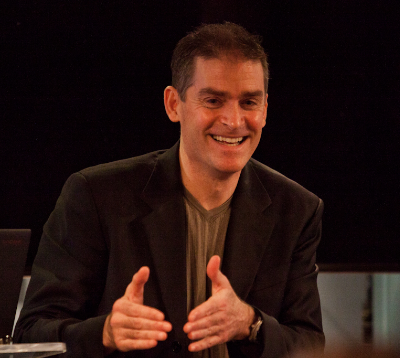 Taking a drink allows a person to, at least temporarily, break their existing expression (here contempt/disgust) and "reset" their game face or "lying mask". 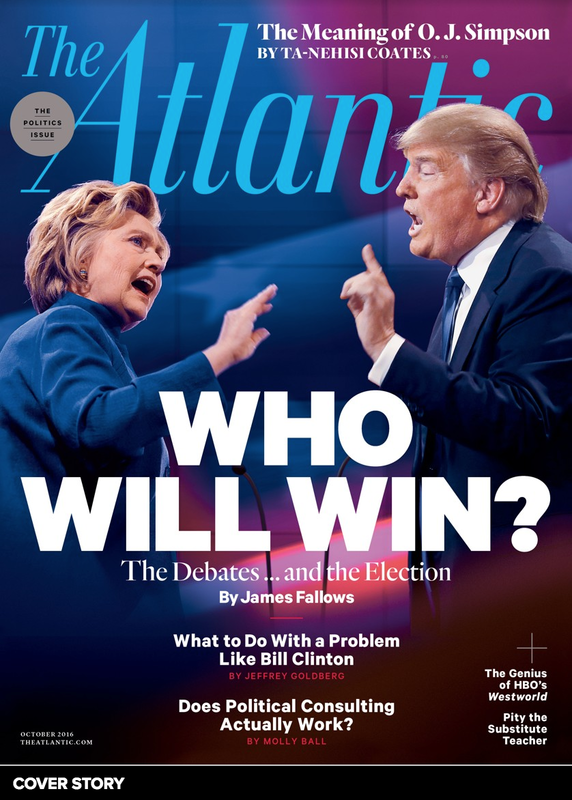 When we cover, touch, or rub/scratch our mouths or lips when making a declarative statement - it is extremely suggestive of deception. When we have a drink in our hands (or pick one up) - it acts as a catalyst - disinhibiting the resistance to touching our face during a lie (with the cup and drink acting as a surrogate for the fingers) - therefore making this telling gesture much more likely. Thus, if you're suspect someone may lie to you (whether you're a supervisor, detective, parent, etc.) - always make sure they have a drink available and positioned close to their dominant hand. Their drink is your lie detector. The mouth and throat also become rapidly dry prior to and during a lie - making this is an additional reason for "deception quenching" (and hard swallows). Taking a drink also stalls for a few seconds - such that one can psychologically recover from the act of lying as well as formulate a verbal answer or clever (misdirecting) follow-up statement. 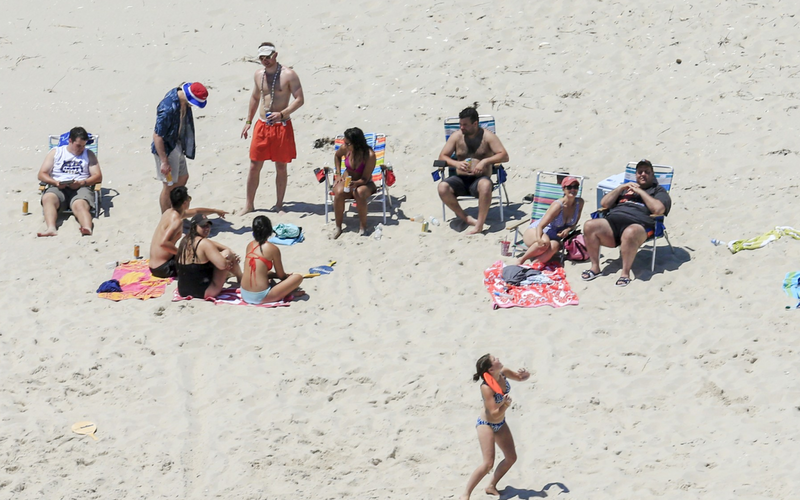 Summary: Governor Chris Christie was caught in a blatant lie regarding his family's day at the beach. 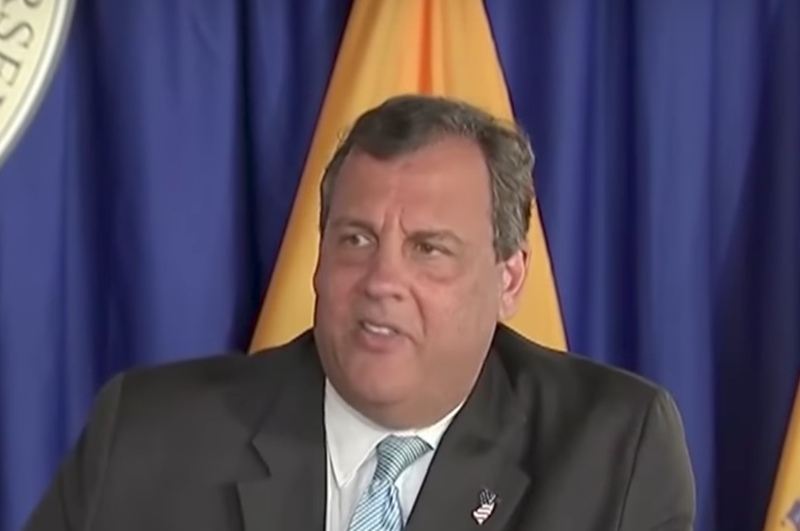 His press conference, a portion of which is detailed here, provides some classic body language examples of deception detection.